This is AMAZING people!! Especially toasted with ricotta and seeds!! This is my FAVE! I’ve made it over a dozen times now – it’s super easy and sooooo tasty. Absolute bliss! Fantastic! 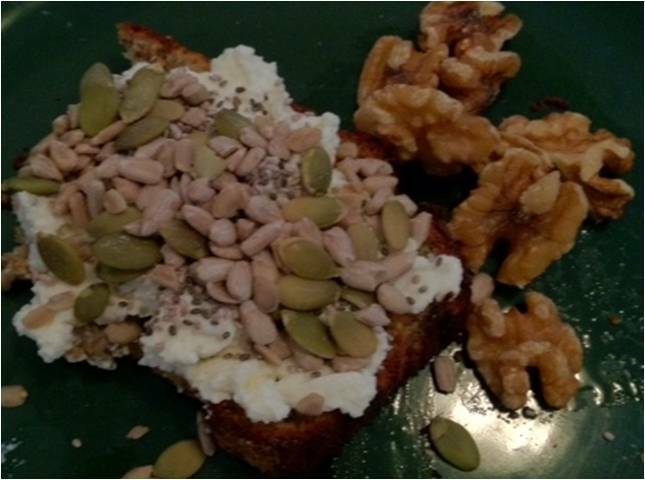 Am so glad that you enjoyed the banana bread…is really yummy toasted with some ricotta cheese on top! Thanks for the tip with regards to lining the tin, mine is one of those soft non stick types so I have never had a problem but I appreciate most people would probably be using the regalar type.